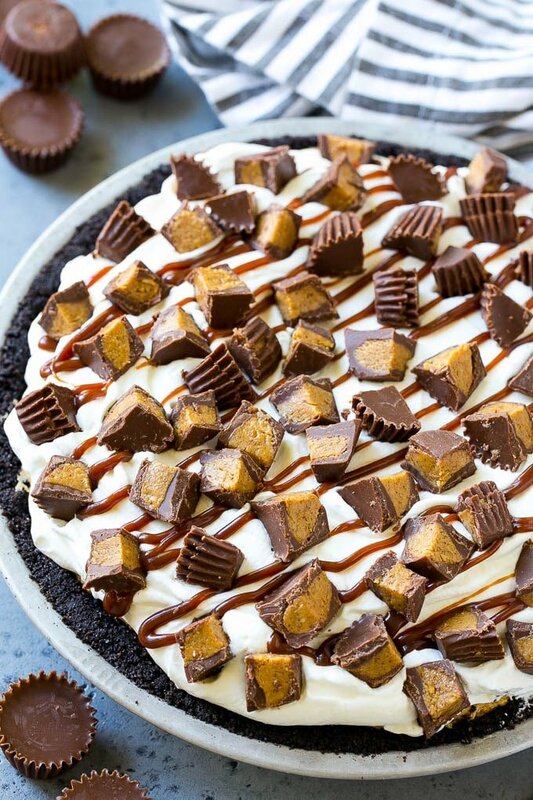 This chocolate peanut butter pie is a no bake dessert with a cookie crust, creamy filling and whipped cream topping, all finished off with chopped peanut butter cups. An easy make ahead dessert that’s perfect for entertaining! You can never go wrong with chocolate and peanut butter, and this easy no bake peanut butter pie is the BEST way to get your peanut butter cup fix. I am obsessed with no bake pies right now. 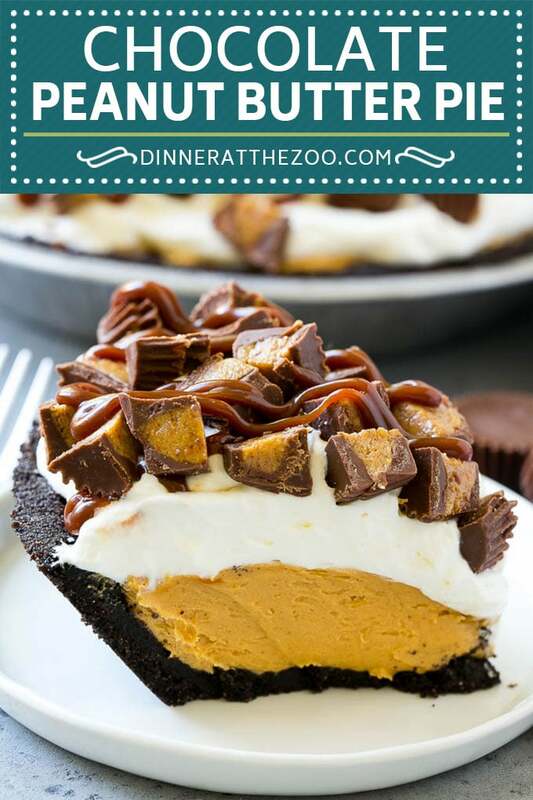 I immediately followed this decadent chocolate peanut butter pie with another no bake dessert the next day. Although everyone was wishing that there were leftovers of this peanut butter cup pie because it was so delicious! HOW DO YOU MAKE CHOCOLATE PEANUT BUTTER PIE? 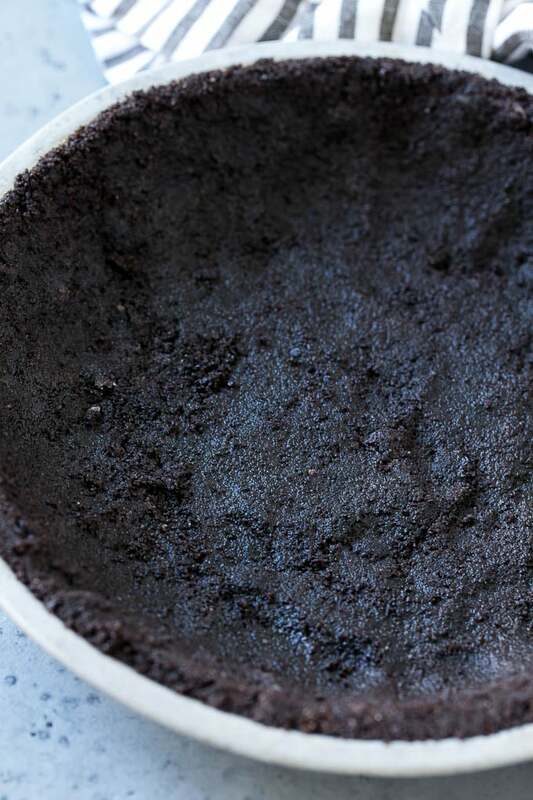 First, make your deliciously crumbly cookie crust and let it chill for 30 minutes. Whip that salty peanut butter together with the softened butter to make your rich filling then add the whipped cream and peanut butter cups on top. Chill your peanut butter pie for around 4 hours and you have one of the most delicious pies you’ll ever taste, without having to turn the oven on. I love using Oreo cookies for my no bake peanut butter pie crust, however, chocolate graham crackers or chocolate wafer cookies work just as well. It’s important that the pie crust be firmly pressed into the pan when being prepared so that everything holds together. Using the back of a large spoon or the bottom of a measuring cup helps tremendously with this task. I like to use fresh whipped cream on top of my chocolate peanut butter pie. However, you can substitute whipped topping if you don’t have time to whip up your own cream. Don’t use the aerosol style whipped cream as it will quickly deflate and you won’t end up with a mount of fluffy whipped cream goodness as shown in these photos. WHAT’S THE DIFFERENCE BETWEEN REAL WHIPPED CREAM AND FROZEN WHIPPED CREAM? Frozen whipped cream isn’t made of dairy or has little dairy content to it. This makes it sweeter than the real whipped cream. Real whipped cream is made from dairy or heavy cream which gives it a taste that’s not as sweet but preferred by many because it tastes fresher and doesn’t contain artificial ingredients or stabilizers. HOW DO YOU MAKE A GRAHAM CRACKER CRUST? A graham cracker crust is just like the cookie crust I give directions for below. You’ll want to follow the directions for the cookie crust while substituting the cookie crumbs out for graham cracker crumbs. You may need less butter as the graham crackers soak up more than the cookies so pour a little of the butter in at a time, just to be safe. 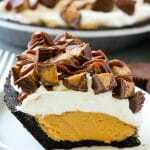 My kids have already been begging for more of this no bake peanut butter cup pie. I have a feeling I’ll be making it a lot this summer. I’m not complaining, I loved it just as much as they did! 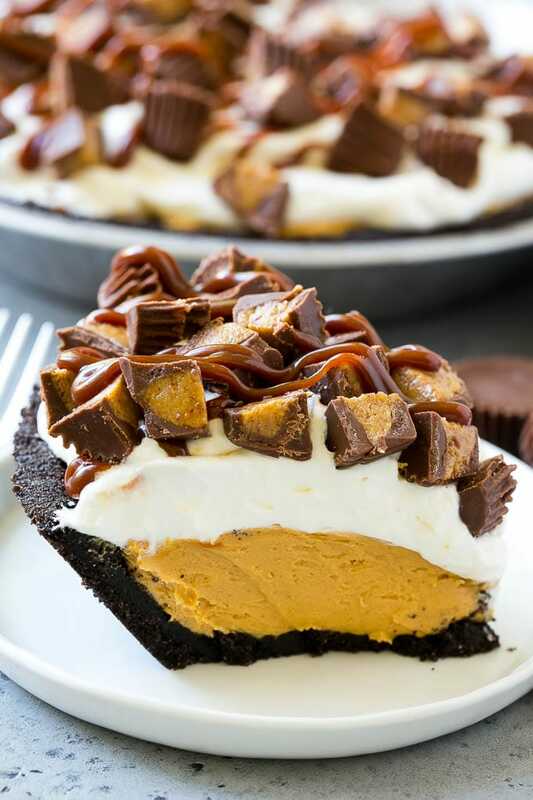 This chocolate peanut butter pie is a no bake dessert with a cookie crust, creamy filling and whipped cream topping, all finished off with chopped peanut butter cups. An easy make ahead dessert that's perfect for entertaining! Place the cookies and granulated sugar in a food processor. Process until fine crumbs form. Coat a 9 inch pie pan with cooking spray. Pour the melted butter into the cookie mixture and stir until combined. Firmly press the cookie mixture into the bottom and sides of the pie pan. Chill the crust for at least 30 minutes. To make the peanut butter filling, place the softened butter and peanut butter in the bowl of a mixer. Beat until smooth. Add the powdered sugar to the peanut butter mixture and beat until thoroughly combined. 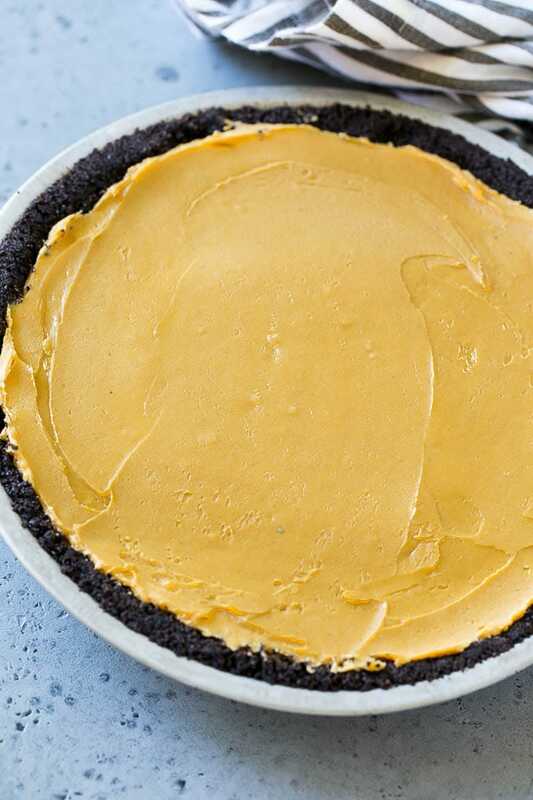 Spread the peanut butter filling into an even layer in the crust. Spread the whipped cream over the layer of peanut butter filling. Drizzle with fudge sauce and arrange peanut butter cups on top. Chill for at least 4 hours. Cut into slices and serve. I am making this pie for our Friendsgiving Dinner! I’m sure it will be a hit! That is such great news!! So glad to hear your won and that everyone enjoyed the pie! Looks delicious! We love anything with peanut butter and chocolate! Chocolate and peanut butter in one? Yes, please! I will definitely put this on the menu next week. Gotta have that delish dessert! We’ve been experiencing a crazy heat wave here in California. That has meant the oven is off limits. 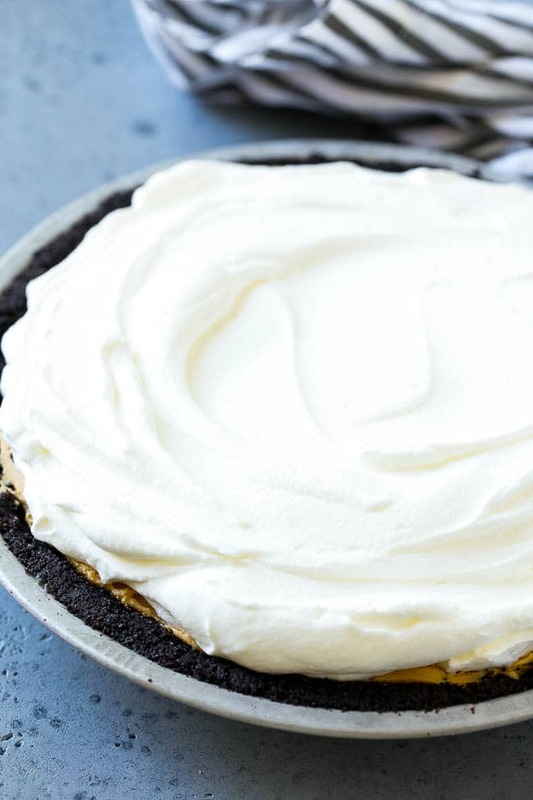 My sweet tooth doesn’t appreciate the hiatus, so I’m grateful to have this pie recipe to share. I have not made a pie in a long time but just from looking at your pictures I want to! I love the peanut butter cups pieces on top. 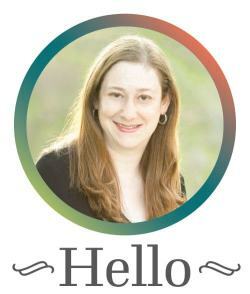 I am definitely pinning this and making it soon. I’ve never made a peanut butter pie before, but I love chocolate and peanut butter. This looks and sounds like an amazing recipe! Oh my this looks like a delicious one for sure, I need to make this asap. MY family would tear it up! Peanut butter is a favorite here. I am sure everybody will love this recipe! I will give this a try. Yum! I’ve never tried to make chocolate peanut butter pie for my kids. It looks so easy to make and I am sure kids will definitely love it. Wow! It looks so good and delish. I am looking for this kind of recipe that no need to bake. Perfect! Oh my!!!! This looks AMAZING! My family will love this! Not only does this sound yummy, but, it’s gorgeous too! I’d love to serve this at our next outdoor party! This is my mom’s favorite kind of pie. I will have to mkae it for her next week when she gets home from staying with my Grandma. You had me at chocolate and peanut butter. It’s my favorite combination of all time! Yum! Two of my favorites, when it comes to desserts. I usually take the easy way out and just buy a pre-made crust, but I’d like to try my hand at it! Oh my gosh! My mouth is watering. This looks so good. I love the little peanut butter cups on top. What a perfect dessert! I am all about peanut butter cups, so I’d eat so much of this!